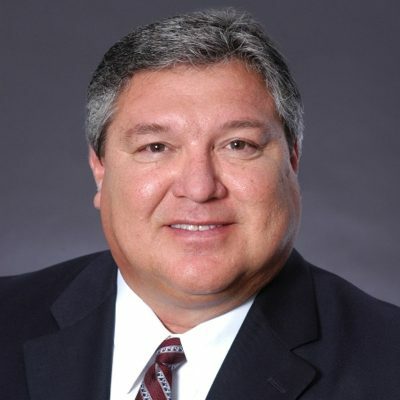 Glenn D. Villarreal is a Principal of the San Antonio office of Henry S. Miller Commercial. Glenn has development and acquisition experience in office, retail, and industrial facilities of over 2 million square feet in the San Antonio area and has leased over 15 million square feet over a 20 year period. The development manager of One International Center (formerly Uranga Towers) at the intersection of Loop 410 and Jones Maltsberger. A 320,000 SF Class A office building, with total construction costs of $36,000,000. The lease and eventual sale of the former Fleming Foods Distribution Facility, approximately 550,000 SF to HEB. The pursuit, listing, and sale of 2,600 acres in North Central San Antonio over a short 6 month period, $28,000,000. September 2005 – present: Principal, Henry S. Miller Commercial September 2002 – August 2005: Partner, Century 21 Smith Commercial April 1991 – August 2002: Vice President, Partner, Cavender & Hill Properties October 1987- March 1991: Marketing Representative, Trammel Crow Company June 1979- July 1986: Development and leasing manager, CV Uranga Enterprises All of above in San Antonio, Texas. Various BOMA associations, neighborhood groups, YMCA coaching clinics, youth baseball coaches, church groups, and all those necessitated with three very active children.